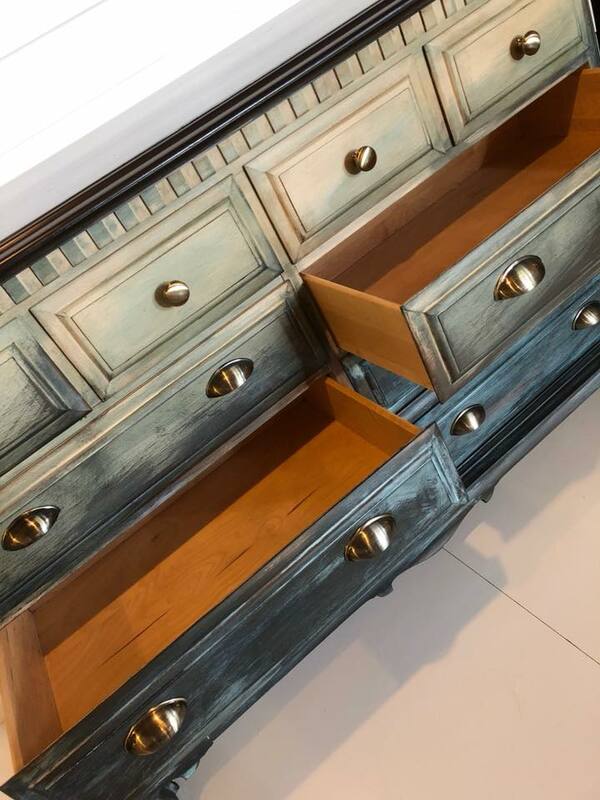 This versatile piece is perfect for a dresser, TV credenza or even a buffet. 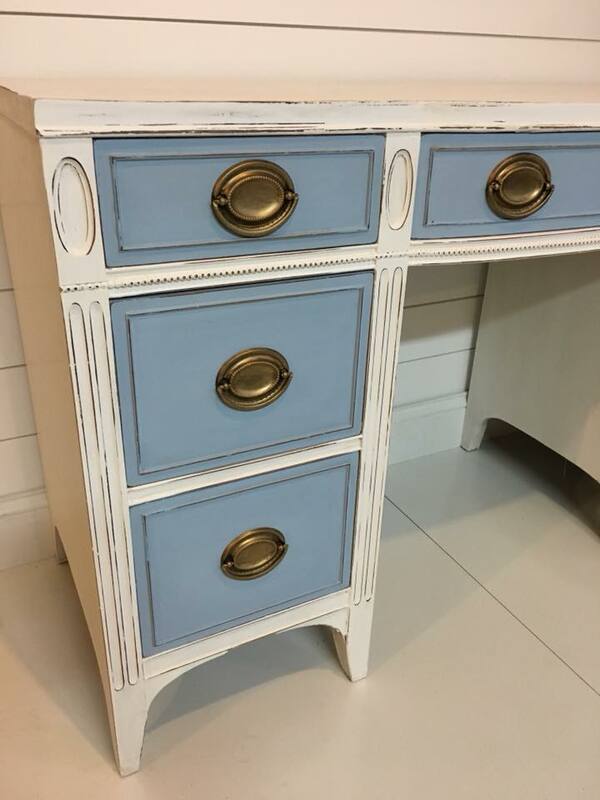 Professionally hand painted in General Finishes Coastal blue and sealed with General Finishes top coat. Black wax was added to bring out some depth. 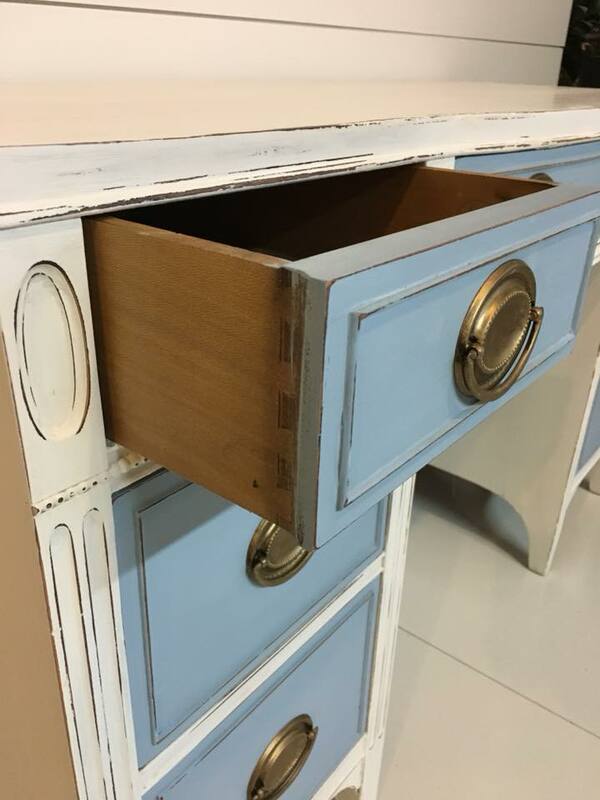 This vintage piece has plenty of storage and the solid wood drawers are dovetail and very sturdy. New vintage hardware has been added. 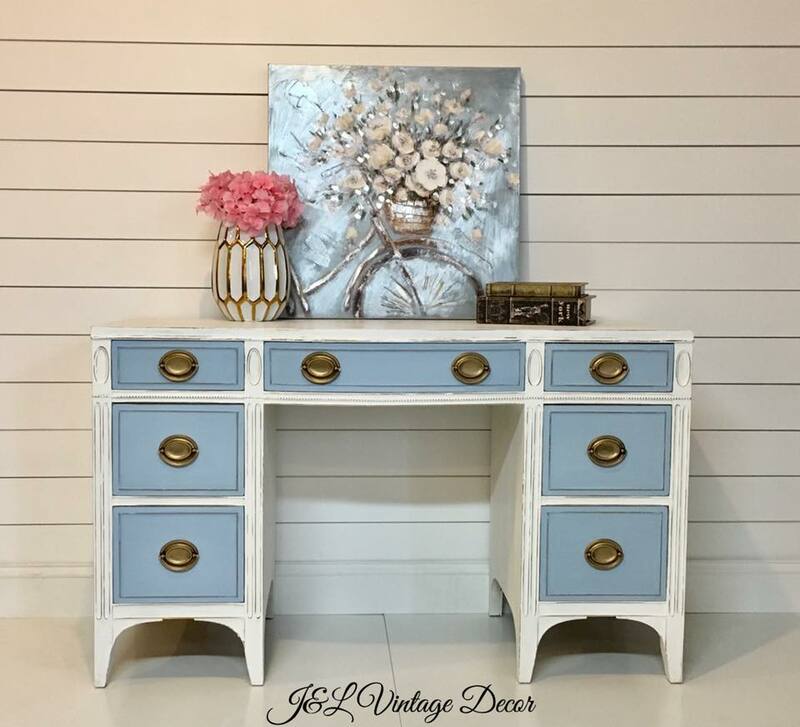 This delightful Drexel desk will make a statement in any room. 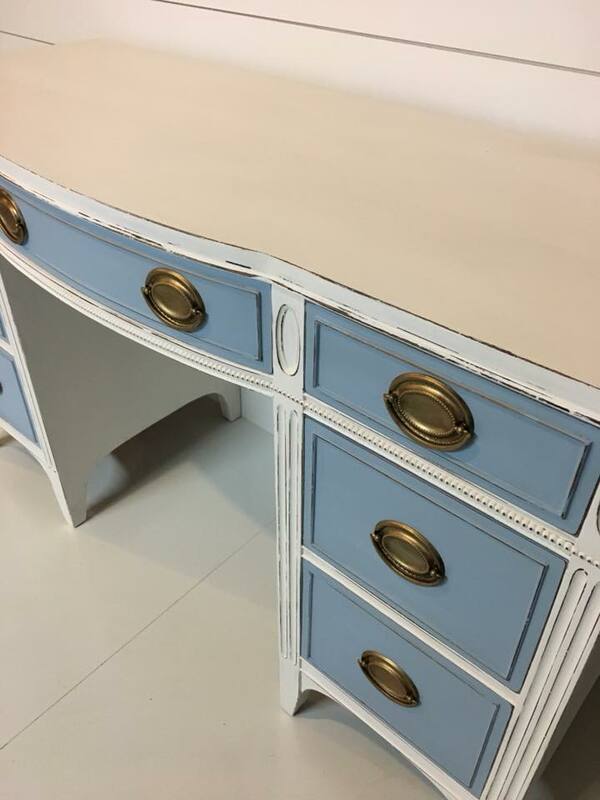 This two toned desk professionally hand painted in Annie Sloan Pure White and Louis blue. This all solid wood dresser is constructed with solid dovetail drawers. The original hardware was shined in an antique bronze. 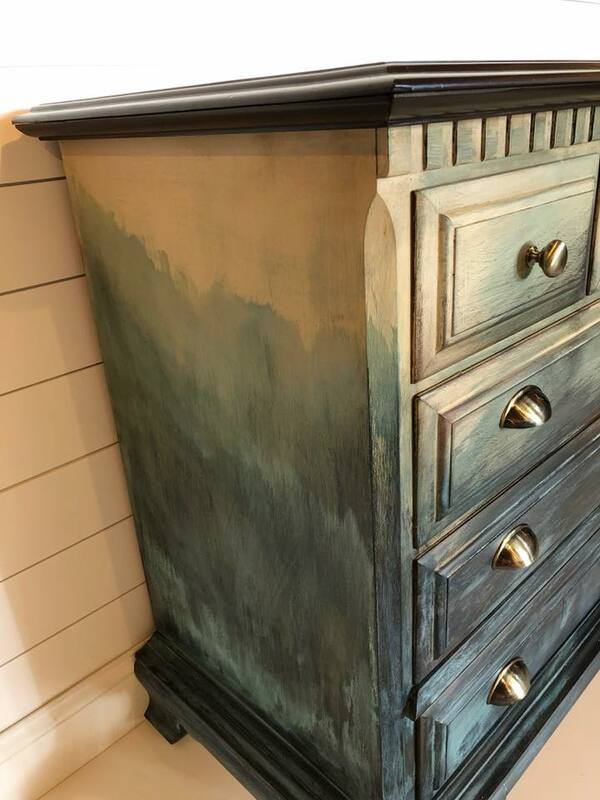 This beauty has rich layers of greens, blues and bronzes. A beautiful stained top gives a nice contrast. 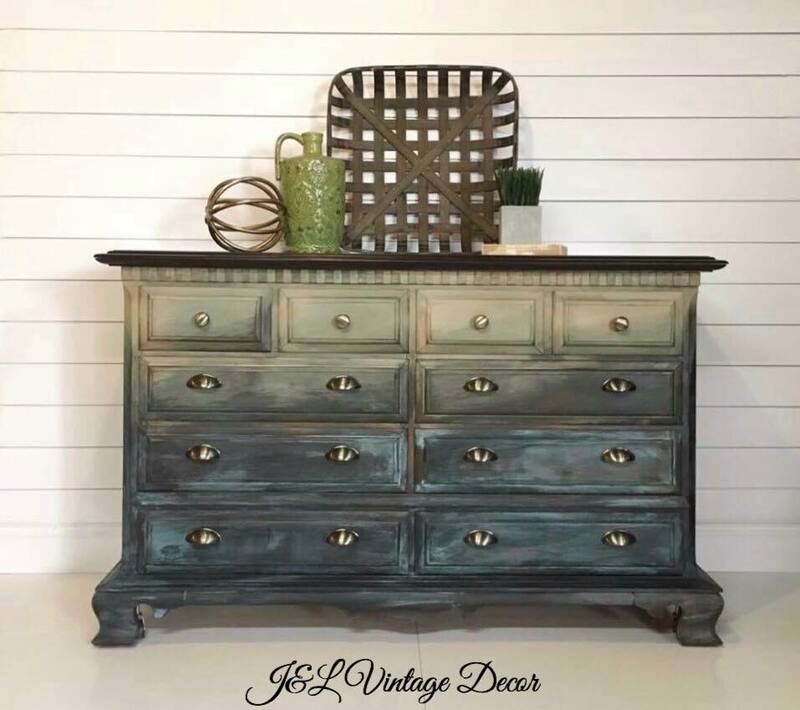 This dresser would look great in any room. 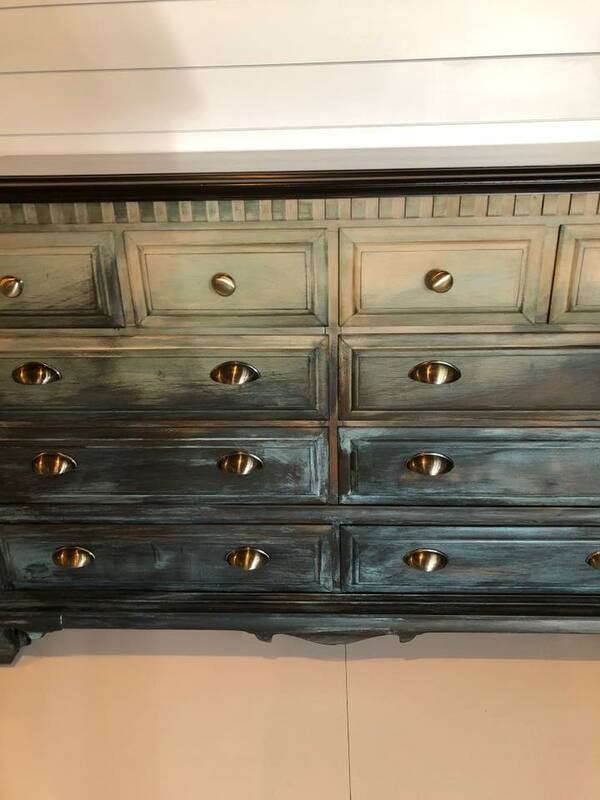 Beautiful new antique bronze hardware added. This all maple solid wood dresser is constructed with solid dovetail drawers.